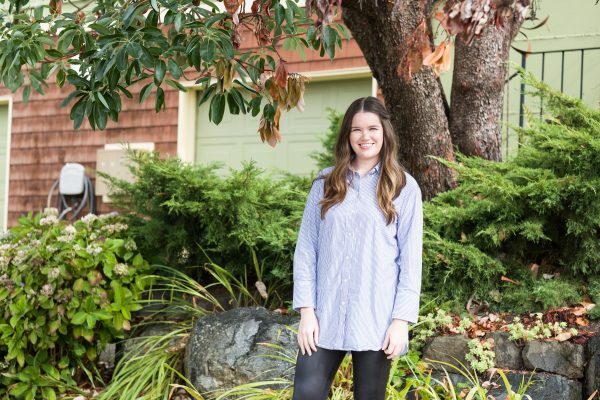 Lauren Byrne plans to rent out her Seattle condo next year. 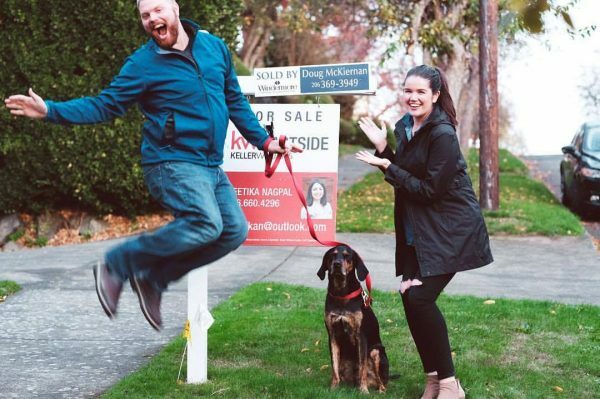 In this series, NerdWallet interviews new homeowners across the country about their unique homebuying journeys and the financial decisions that helped them along the way. Seattle’s housing market is finally starting to cool, and that’s good news for the hordes of young people who continue to flock to the Pacific Northwest tech hub. Byrne, who studied finance in college and also runs a personal finance blog, bought the condo as an investment property. She and Zach live there now, but they plan to rent it out next year. 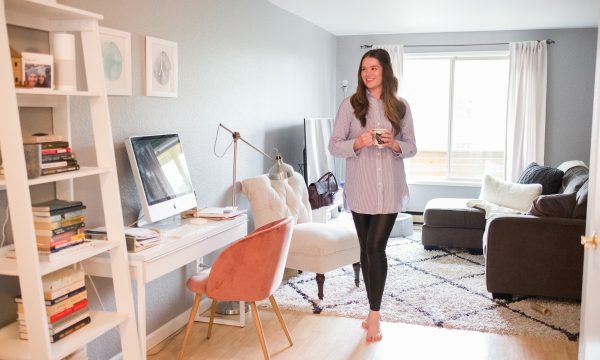 Lauren Byrne and her boyfriend, Zach, bought their Seattle condo in December 2017. I’m originally from Ireland. My family immigrated to Seattle when I was 3. A lot of Irish people immigrate to New York City and Boston, but my family had good friends in Vancouver, British Columbia, so they wanted to be close to people they knew. I’ve grown up in the Seattle area for most of my life and went to college at Washington State University. Seattle has changed a lot in terms of affordability, the size of the population and restaurants and activities. A lot of people have been pushed out of the city. Why did you decide to buy a home in Seattle? I had been renting in college and continued renting after I moved back to Seattle for work. My parents started purchasing investment properties around 10 years ago, and it’s been really great for them, so that inspired me. What were you looking for in a home? My goal was to find a place I could rent out quickly and consistently over time. I wanted it to be close to downtown Seattle — close to offices, nightlife and restaurants — so that it would attract rental interest. It didn’t need to have the latest and greatest updates, but I wanted something that I didn’t have to put a lot of money into after purchasing. Lauren Byrne found her condo on the first weekend she began looking. What was your homebuying journey like? My lease on the apartment I was renting ended on Dec. 31, 2017, so I started looking in early October of that year. I found our place within the first weekend of looking. We saw six places on Saturday, including our future home, and then went back on Sunday and decided to make an offer for $390,000 — that was the asking price — and we closed by mid-November. The offer was accepted right away. Our agent was able to negotiate for the seller to cover our closing costs as well. The owner had passed away, and the sale was being managed by a third party who didn’t have a personal stake in the property and therefore wanted to wrap up the sale as quickly as possible. How did you know that the home was the one for you? Based on my budget of $400,000, I knew I’d be restricted to condos. Most single-family homes were starting at $800,000 at the time. The condo has a garage, its own private entrance and in-unit laundry. That made it more marketable for renting. Some condos have a rule that only a certain percentage of the building can be rented out at the same time, but there was no such cap on this unit. What’s your approach to finance, and how did you save for the home? My interest in finance started at a young age after seeing my parents work super hard and make sacrifices — they moved to the U.S. without a lot of connections or income to support themselves. They taught me how to manage money, and I wanted to be successful to make their sacrifices worth it. I have a really balanced approach when it comes to saving and money. I definitely think it’s important to take care of your future self. I follow the 50/30/20 budgeting method. I’ve always committed to saving or investing 20% of my $91,000 income. Since I started working, that 20% has gone into a separate account that I don’t see on a day-to-day basis. I also receive a bonus every year and saved that money for my home purchase. But I also want to live a lifestyle that makes me happy, so that’s where the 30% comes in. Were there any surprises or challenges? Would you have done anything differently? I met with a mortgage broker just a year out of college, two years before I made the purchase, and decided to wait and save more. But when I went through the process last year, I was actually in a worse position because home prices had gone up exponentially. Seeing how much the market exploded since I met with the broker, in hindsight I would have tried to buy sooner since I did have enough to make a purchase at the time. What advice would you give to someone considering moving to Seattle? Don’t look at places at face value; imagine what they could be in the future. The public transportation isn’t great once when you’re out of the city center. If you look 10 miles out of the city center, it’s very tricky to get around, but the city is working on expanding its light rail system.